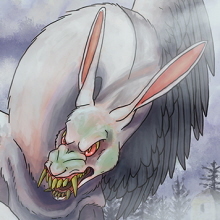 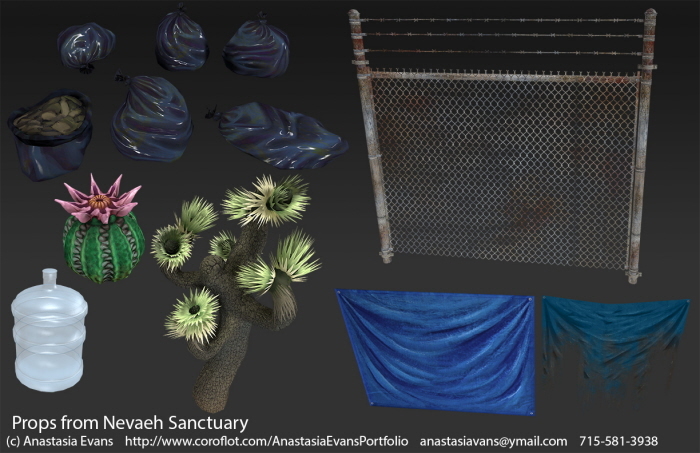 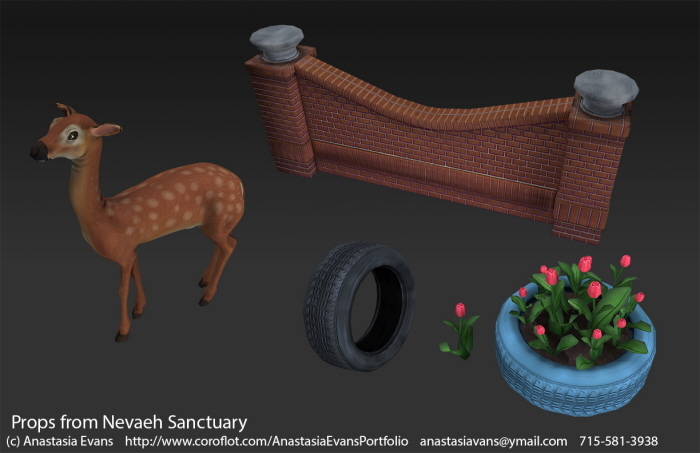 3D modeling done in school using tools such as: Zbrush, Maya, Unreal, Photoshop, & 3D Coat. 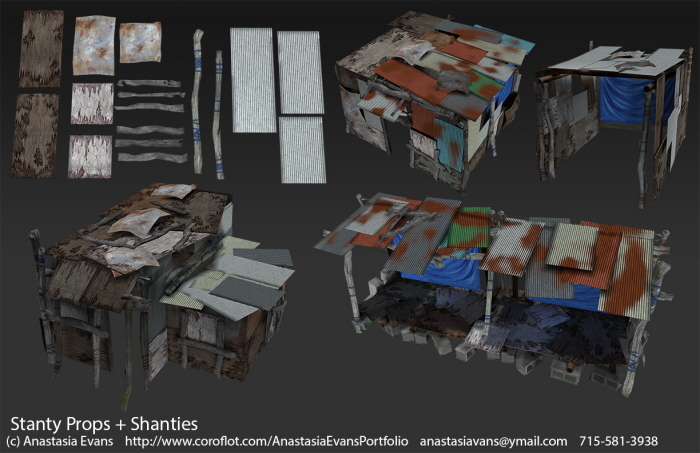 Assets and shanties from thesis. 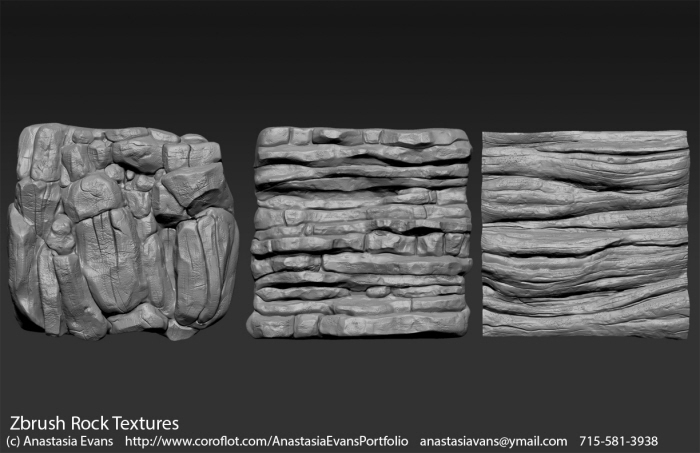 Rock textures for a tile-able texture kit. 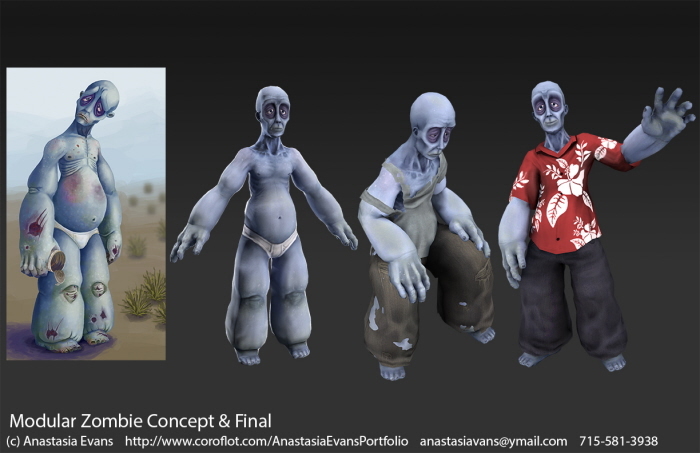 Concept, high poly, and low poly zombie for thesis.